Formlabs is pleased to announce the latest formulation of High Temp Resin, part of our library of Engineering Resins for the Form 2 desktop stereolithography (SLA) 3D printer. High Temp Resin offers the highest heat deflection temperature (HDT) among Formlabs resins and is suitable for printing detailed, precise parts with high thermal stability. The new formulation, shipping now, has an HDT of 238 °C @ 0.45 MPa and improved elongation to decrease brittleness. Over the course of the last year since we first released this material, we've talked with a variety of engineers and product designers using it to better understand its applications, strengths, and opportunities to improve. We’ve seen that this is a very capable resin in the field, and the latest formulation is a direct result of customer feedback to make it even better. The original formulation of High Temp Resin is available while supplies last to help you smoothly transition your workflows. We recommend switching over to the updated formulation as soon as possible to avoid interruptions. Professionals across industries are using High Temp Resin in a variety of exciting and inventive workflows, and in some cases people buy their first Form 2 specifically to access this resin and its unique properties. Read on to learn how some of the most innovative engineers are applying this material to their prototyping and production processes—we hope you’ll find inspiration to add it to your own workflows when you need a material that can take the heat. 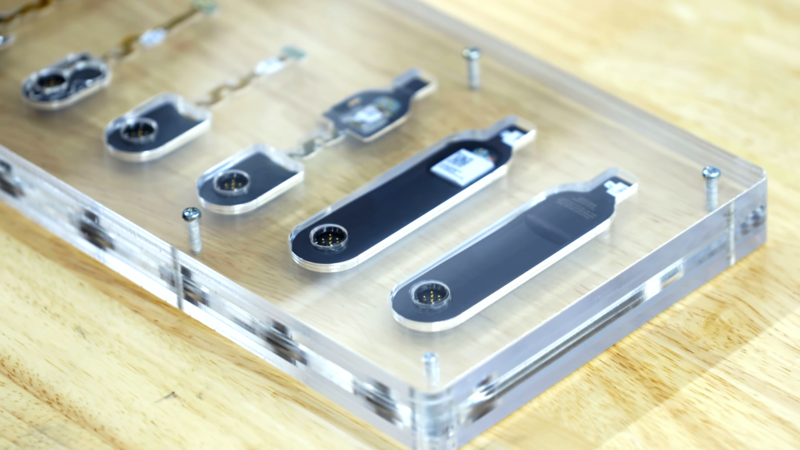 Functional testing of prototype parts that come into contact with high heat can prove challenging, as many prototyping materials deform at higher temperatures. Reduce costs and iterate faster during every stage of product testing by 3D printing fully dense, watertight parts with low absorption that can withstand direct contact with hot liquid or steam. 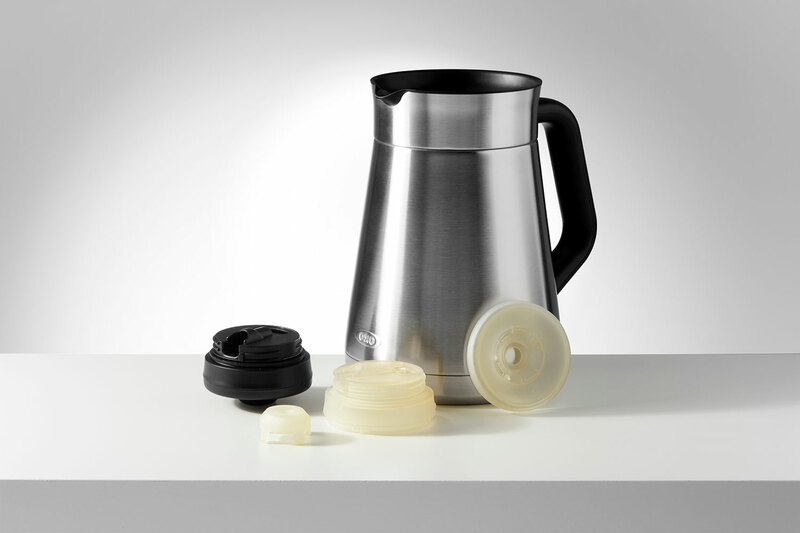 During the design process for their Barista Brain 9 Cup Coffee Maker, OXO used the Form 2 and High Temp Resin to prototype functional parts that needed to come into contact with boiling water. Heat is the enemy of electronics and sensitive equipment. Testing and validation in industries like automotive and aerospace require control and monitoring of many subsystems operating simultaneously. There's still no substitute for physical environmental testing, even alongside advanced simulation, and many design engineers choose High Temp Resin to speed up the design-test-iterate cycle, quickly uncover the root cause of performance issues, and ultimately build more useful, reliable products. With its high resistance to heat, high detail, and smooth surface finish, High Temp Resin is uniquely capable of printing molds and inserts to produce parts in production materials using processes like molding, thermoforming, and injection molding. Using 3D printed molds provides the ability to produce short run batches and test mold designs before committing to expensive tooling. Download our Moldmaking With 3D Prints white paper to learn how to use molds printed on the Form 2 for injection molding, thermoforming, and casting with elastomers. Google’s in-house technology incubator, or Advanced Technology and Projects group (ATAP), relied on High Temp Resin to produce hundreds of dummy PCBs to quickly dial in the overmolding process for a new kind of wearable. Our team of materials scientists is constantly hard at work developing new resins, and one of the most exciting results for us is when we can open up totally new ways of working by introducing a new material to our existing Form 2 desktop stereolithography ecosystem. We’ve been extremely pleased with the range of use cases we’ve seen for High Temp Resin, and we are excited to see our community of innovators continue to discover new ways to incorporate this unique 3D printing material into the future of product design, engineering, and manufacturing.